Thank you so much for leading a Box of Balloons chapter and making more birthdays happy all across the country! The holiday season is near and we have a lot going on here so please read through the whole newsletter and let me know if you have any questions! This is a chapter wide campaign which means EVERYONE should get involved! 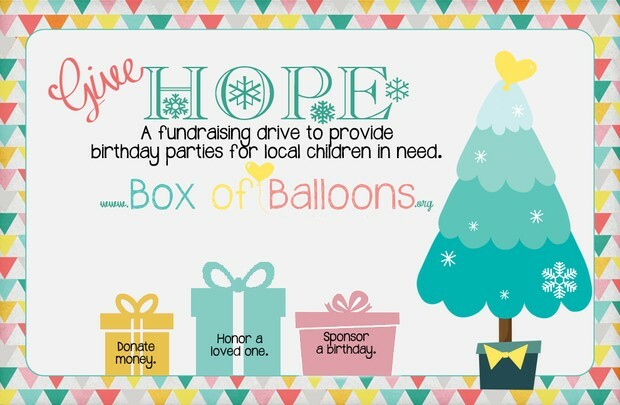 You may have noticed other non-profits mailing or emailing you information on how to give back this holiday season, this is Box of Balloon's holiday give back project! We are encouraging people to sponsor a child's birthday celebration. People can make a note if they want to sponsor a box of a specific chapter. Postcards have been made and sent to our donors as well. If you have someone you would like a postcard sent to please let me know OR if you would like a stack of postcards let me know. Please share this information with your teams, social media accounts, and friends! December 1st is Giving Tuesday, a national day of giving back. Most organizations take time that day to encourage their donors/supports to give to them. 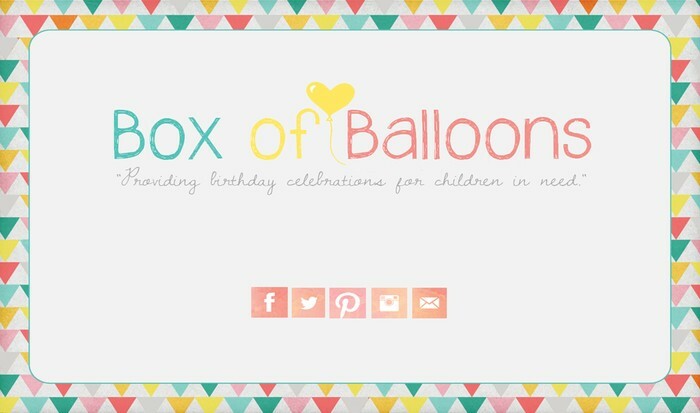 Box of Balloons is flipping it and giving back to our supporters! We are going to run an instagram contest, December 1-6th. People need to follow @box_of_balloons, like our post and mention 2 friends in the comments to be entered to win a $100 Amazon Gift Card. If they post a selfie with why they give to BOB it will be worth 2 extra entries.